Cooking on the cheap shouldn't mean minute rice and buttered pasta every night. 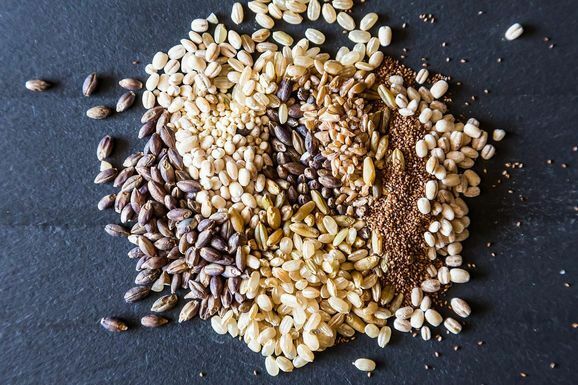 With a little creativity and a little planning, you can make the most of a tight budget -- without sacrificing flavor or variety. Today: Gabriella gives you a mantra to repeat when dinner feels too difficult. There are some days when it feels like Murphy's Law is in full effect. You roll out of bed, get on a hellishly crowded and delayed train, spill coffee on yourself, sit through back-to-back meetings, get to your desk and start your actual work around 4 PM, learn that Bradley Cooper has a new girlfriend, leave work late, then begrudgingly agree to go to happy hour. By the time you make it home, you're pretty tipsy after two beers because you skipped lunch, and all you want is a giant bowl of food. Oh, and did I mention that you over-drafted your bank account, so delivery's out of the question? 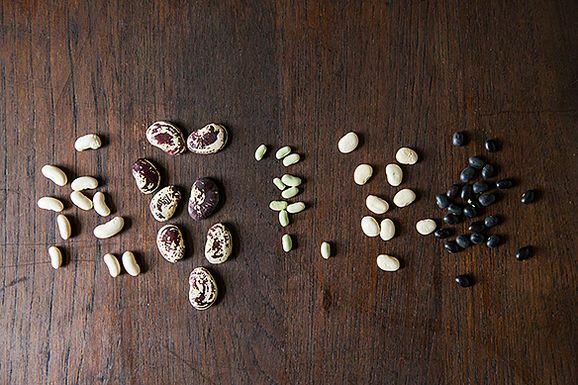 This is when you fall back on my favorite dinnertime formula: a grain + a green + a bean. First popularized by the No Meat Athlete, it's the perfect way to get a quick, comforting, and complete meal from the cheap staples you already have in your pantry. 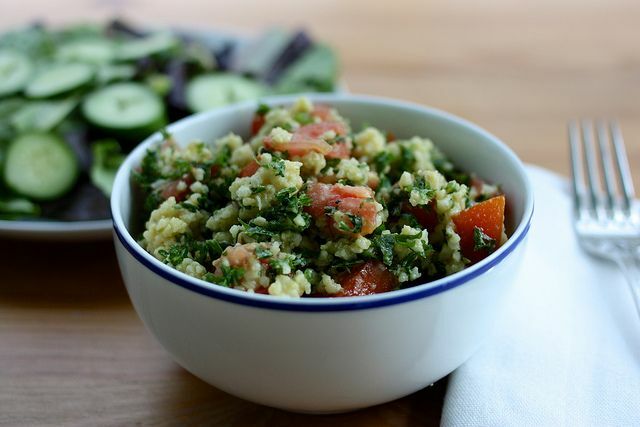 It's always a good idea to keep some sort of grain pre-cooked in the fridge at all times. 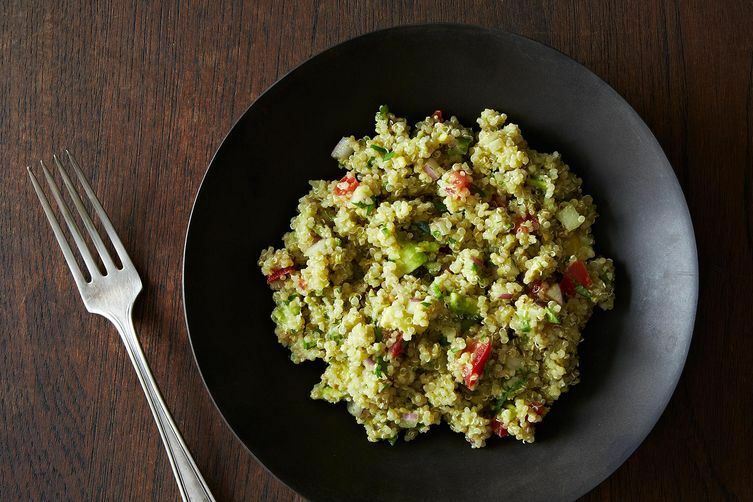 I usually make a pot of quinoa and brown rice on Sunday nights and use them in dishes throughout the week. 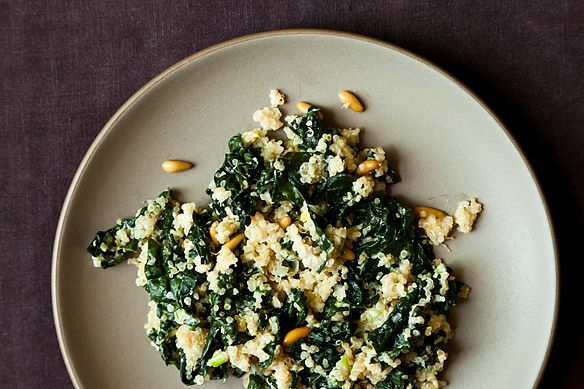 Bulgur, millet, and farro are other great options: learn how to cook them here. If you're ravenous and didn't plan ahead, go ahead and boil some whole-wheat pasta -- you'd have to wait longer than 10 minutes for delivery, anyways. 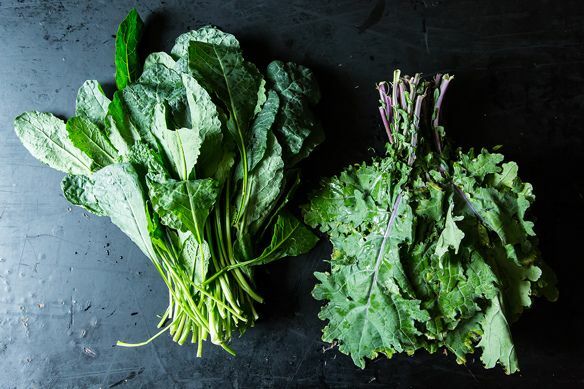 Your vegetable of choice doesn't need to be green -- though big, leafy things like kale and spinach thread through the grains nicely when they're cooked. Just dig through your crisper drawer and sauté what you find with onions, olive oil, spices, and salt. For desperate times (see above), backup frozen spinach or broccoli can be a godsend. I'm forever an advocate for canned beans for this very reason: you can just pop open a can, rinse them, and they're ready to be added to your dish at the last minute -- all for under a dollar. Think broadly about what you're working with. Going with rice and black beans? Generously season your meal with cumin and add a squeeze of lime. Pasta and cannelini beans just need a quick toss in olive oil and balsamic vinegar. And I like my Sriracha with a side of quinoa. This is what I inhale straight from the container while standing in front of the fridge. My mom, who's an amazing cook in her own right and constantly putting together elaborate spreads, made this effortless dish by chance years ago. Of course, it was the one that instantly became a favorite of mine and my sister's. It never fails. 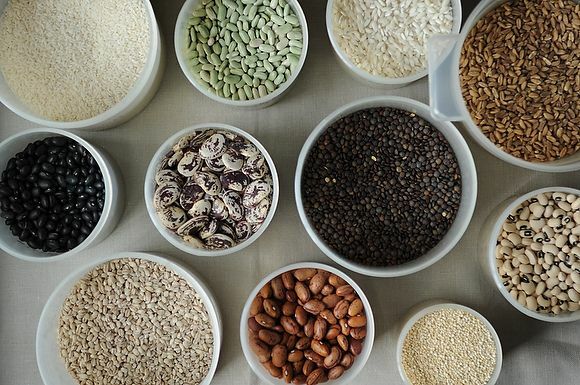 Tell us: What are your favorite grain, green, and bean combinations? 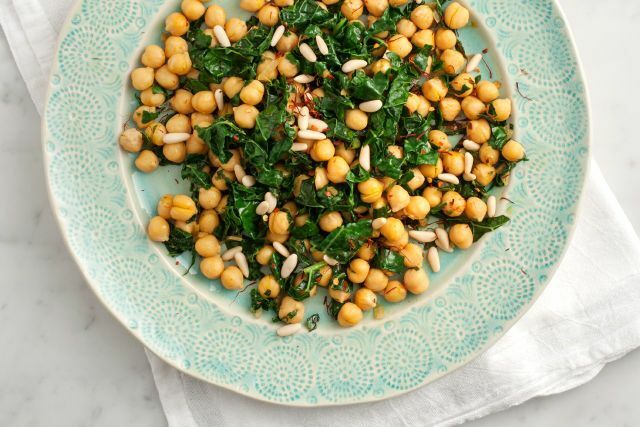 Beans & greens are one of my favorite go-to foods. Any beans, any greens, lots of garlic, red pepper, olive oil. Who could ask for more? This really works! I eat like this regularly as a vegetarian. Love these ideas. Cheap AND healthy. Thank you GP! Oh, thank you. I've been exhausted at work and eating apples and cheese for dinner when I get home. Tonight I think I'll make a decent meal. Good luck! I guarantee it'll make you feel better after a long day. I love this concept. Thanks Gabriella!